I had a chance to travel to Kenya with AWANA International (www.awana.org/). I knew my heart was going to break seeing the children living in poverty in the slums of Nairobi’s Kibera, but . . . 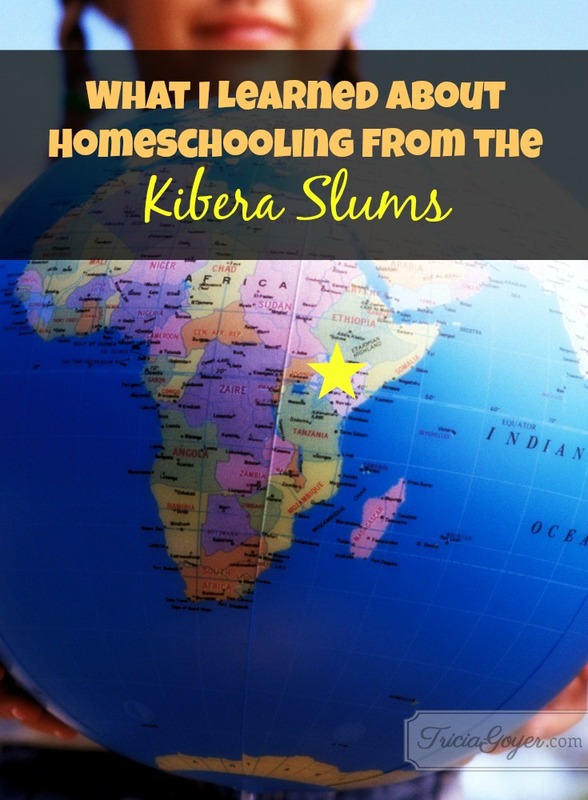 I never expected to learn so much about homeschooling from the teachers and students I met. First, the slums are a hard place to visit. Over one million people live in a community of make-shift shacks, unsafe power lines, and filth. Channels of human waste pool down the middle of muddy pathways, and garbage is mixed in the mud. The stench caused my stomach to lurch. A pastor friend guided us through the narrow paths and soon we came to a small courtyard. We stepped inside, and the sound of children’s voices met us. Over 200 children were packed into a small room singing praises to God. In Kibera most children can’t afford school. Many of the children are orphans, and they are completely left to their own devices. They would die from hunger and living in the elements, but because of caring people, these children are taken in, fed, clothed, and educated in “schools.” These schools are not part of the government. They receive no funding. Few of these schools have books, yet they have volunteer teachers and caregivers who do all they can to give these children an education. We, guests sat on white plastic chairs as the children gave us a presentation. Because of Awana’s training in Kenya the children quoted Scripture, shared biblical stories, and gave personal testimonies of God’s work in their lives. It was amazing! I walked away thinking of my kids and our homeschool.